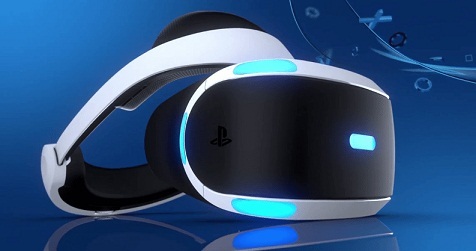 Sony has released its new virtual reality headsets on the market and the PlayStation VR is currently only compatible with the PS4, but the Sony executive vice president, Masayasu Ito, has revealed that the company is considering making the PS VR also compatible for the PC. Technically, it would not be too problematic to make the PS VR also compatible for the PC or the Xbox One, as the processing unit comes with an HDMI port, which is also suitable for the PC. This already made sure that you have a liquid image while playing. So that means that the HDMI port would already compatible with PC, the Xbox One or even the Wii U and actually some consumers have found that these devices can be connected to the PS VR. However, you cannot still get its 3D effect; the image is only shown in the cinematic mode. - For this you must connect the PS4 via HDMI cable with the box, which also functions as a splitter simultaneously. - Then you connect the splitter to your TV. - In addition, you must have the PS4 and the VR-splitter box connect via USB with the PlayStation and the power source. The splitter functionality of the processing unit allows you to use a source other than the PS4 for your PS VR. But keep in mind that the USB cable to the PlayStation VR processor unit further plugged into the PS4, because without this connection the PS VR will not work. Of course, the cinema mode is not the same as the 3D effect. Nevertheless, you can see the image on a virtual canvas and thereby move the head to the right and left in order to really see everything. Qualitatively there is nothing to complain about, because the picture is really excellent.